Volkswagen said in 2016 it would buy back or fix nearly 500,000 polluting 2.0-liter diesel U.S. vehicles. About 2,000 owners opted out. 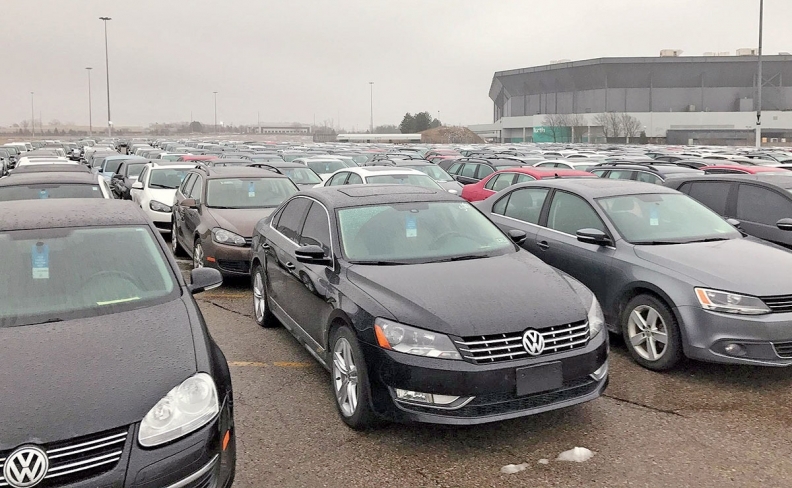 FAIRFAX, Virginia -- A Virginia judge rejected a request by the U.S. unit of Volkswagen to delay several of the company's trials over excess emissions because of "inflammatory" comments made by a lawyer representing car owners that it fears will prejudice the jury. Fairfax County Circuit Court Judge Bruce White said after a hearing on Tuesday that he would proceed with a Feb. 26 trial involving a North Carolina man who bought a 2014 diesel Jetta. Volkswagen said publicity from a Netflix documentary that disclosed the company had jointly sponsored tests that exposed monkeys in 2014 to toxic diesel fumes could prejudice its chances of receiving a fair trial. Judge White said he was satisfied a fair panel could be seated for the expected three-week trial. "The jurors don't know much about these cases," White said generally of high-profile cases. The automaker is being sued by some consumers after it admitted in September 2015 to cheating on diesel emissions tests, sparking the biggest business crisis in its history. Nearly all U.S. owners of affected cars agreed to take part in a $25 billion settlement in 2016 in the United States that addressed claims from them, environmental regulators, U.S. states and dealers. About 2,000 owners, however, opted out and most are pursuing court claims seeking additional compensation. Volkswagen of America had asked White to delay that trial for at least six months after a lawyer for more than 300 U.S. VW diesel owners, Michael Melkersen, gave an interview in the Netflix documentary in which he referred to the company testing diesel fumes on monkeys. In its legal filing, VW’s lawyers argued those comments would prevent a fair trial. Volkswagen lawyers said that "pretrial publicity has connected (the company) directly with Hitler and the Holocaust," which they said was not relevant to a trial about claims of consumer fraud. Melkersen previously said it was "another tactic to postpone (Volkswagen's) day of reckoning." In response to Judge White's ruling, a VW spokeswoman said the company looks "forward to demonstrating at the upcoming trial that the plaintiff has suffered no damages and that his demands for compensation are extravagant and unfounded."